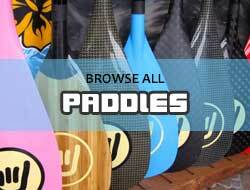 Welcome to Island Trader Surf Shop in Stuart FL! 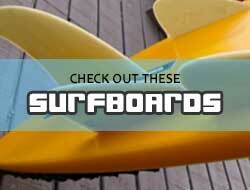 Looking for new or gently used surf gear at an affordable price? 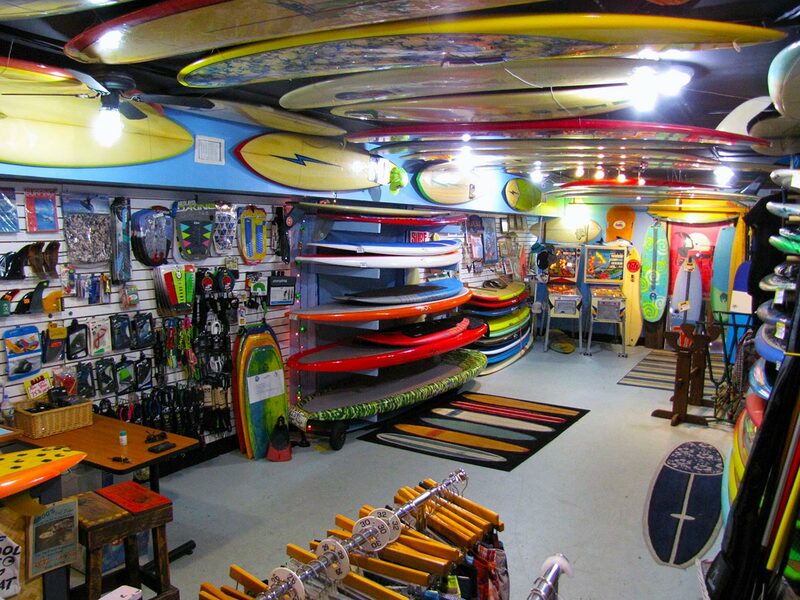 Check out Island Trader Surf Shop on the south end of Hutchinson Island in Stuart, Florida. 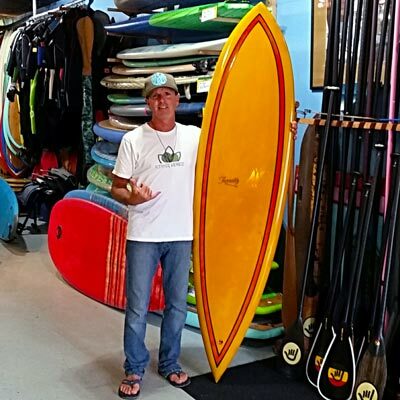 Run by local surf guru David Elias, Island Trader carries all kinds of surfboards, stand up paddleboards, vintage surf memorabilia, skate gear, water sports equipment, apparel and accessories for adults and kids. High-quality used boards are our specialty! Make sure you love that board before you plunk down your cash! 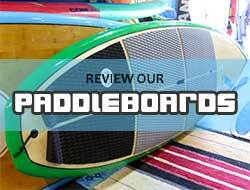 We’re happy to let you try out a surfboard or paddle board before you buy it. Stuart Beach is across the street from the shop to test out a surfboard. Causeway Beach is down the road to get a feel for a paddle board. Just call us to set up a test ride. We want you to be happy with your choice! All surf shops carry apparel. But not like the Apparel + Accessories from Island Trader. That’s because we buy manufacturer’s samples and end-of-season closeouts direct from surf industry sources. Only the good stuff, iconic brands. Beach T-shirts, hoodies, hats, zips, shoes, bags, sun glasses and more for men, women, boys and girls. We source five-star-quality goods at eye-popping low cost. Then we mark it up just a buck or two so you’re blown away by our price. 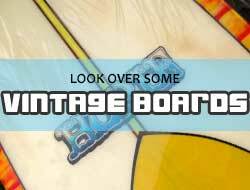 Want to see some very cool boards from the 1950s, 60s, 70s and 80s? 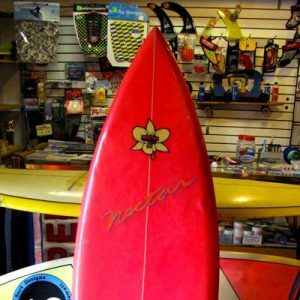 Then come check out the Island Trader Vintage Surf Board Museum! It’s free to look around and we’d be happy to tell you all about the stories of these early boards. Some are for sale, too! 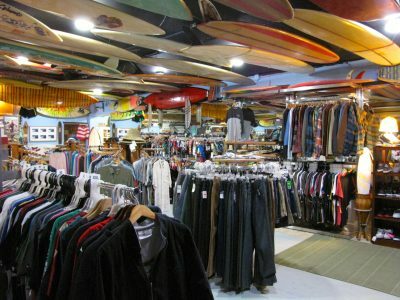 Island Trader Surf Shop loves making a deal. ‘Trader’ is in our name and in our blood. We buy surf gear. We sell surf gear. We trade surf gear. We’ll even sell your board on consignment. Why hassle with Craigslist or eBay when Island Trader can pay you cash money for your stuff TODAY? Contact us and let’s work a deal! BOARD COMPANY REPS and SURF RETAILERS: we buy close-outs, sample products, discontinued lines and excess inventory. Call or stop by the shop to discuss. Check out the shakas and smiles from the latest board buyers on Island Trader’s Instagram! We Work Hard for Your 5-Star Reviews! 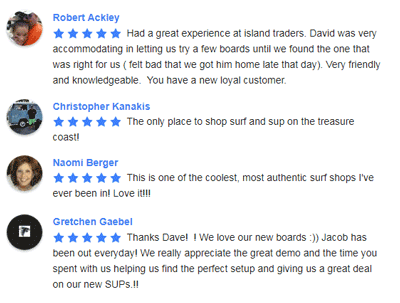 Do the people who visit Island Trader love our boards, gear, prices and service? How about we let them tell you!